CARLSBAD, Ca. (July 23, 2014) – Capping off the summer height of golf’s major championship season, Upper Deck will release its brand-new line of 2014 Exquisite Collection Golf cards on July 29 – a set that is sure to be a scorching hot collector’s item and yet another landmark offering befitting Upper Deck’s history of quality craftsmanship, innovation and authenticity. Upper Deck’s 2014 Exquisite Collection Golf is a super-premium golf card set with each pack of cards containing five autographed cards. Retailers are already pre-selling 2014 Exquisite Collection Golf with an average price of at least $600.00 per pack or higher! Highlights of the set include rookie cards of Rory McIlroy, an Upper Deck exclusive spokesman and winner of the 2011 U.S. Open, the 2012 PGA Championship and most recently the 2014 British Open, as well as 2010 U.S. Open champion Graeme McDowell, 2014 U.S. Women’s Open champion Michelle Wie and rising star Cheyenne Woods, the niece of Tiger Woods. 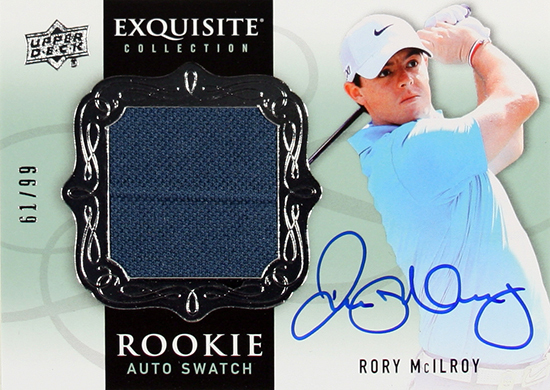 Among the special cards that can also be found in 2014 Exquisite Collection Golf packs are McIlroy Exquisite Autographed Rookie Swatch cards (numbered to 99); shadowbox-style, Autographed Exquisite Dimension cards; ultra-limited Rookie Auto Patch Gold Spectrum 1-of-1 cards; the most extensive selection of Tiger Woods-autographed cards in one set, which also includes multi-autographed cards of Tiger paired with other legendary players; Legendary Signature and Signature Masterpiece cards of the sport’s greats from the past and present; and Upper Deck Black Signature inserts. The novel multi-autographed cards can be a collector’s prize for years to come for golf fans lucky enough to discover one in packs. For a preview of the cards and to watch LPGA star Natalie Gulbis’s excited reaction to the Upper Deck 2014 Exquisite Collection Golf cards as she sees them for the first time and signs them, click HERE. 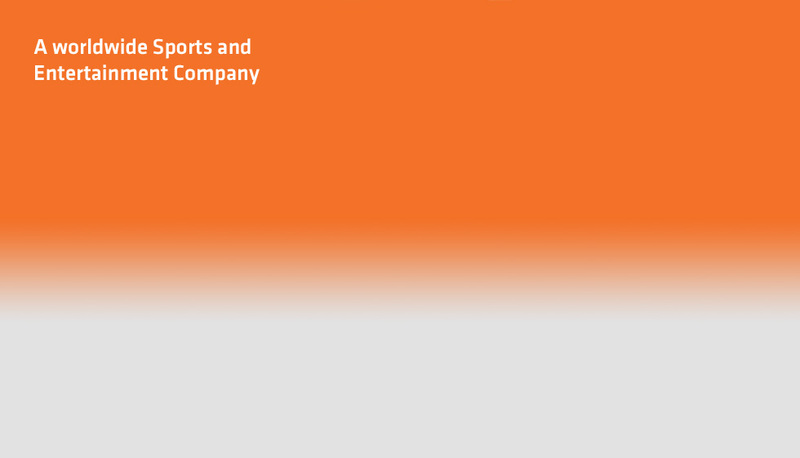 Upper Deck specifically worked to have the 2014 Exquisite Collection Golf cards released prior to the upcoming National Sports Collectors Convention (NSCC) held at the International Exposition (I-X) Center in Cleveland from July 31-Aug. 3. Collectors from around the world will likely be looking to experience this super-premium golf product when it releases in time for this extremely popular trade show.